Omelete had the opportunity to interview Sand Castle director Fernando Coimbra, who talks about making the film and working with Henry. Thanks to our reader Carol (TheCralmeida), we're sharing the Q&A which was originally in Portuguese. The translation is a little rough (we paraphrased/edited a bit), but hopefully you get the gist of it. 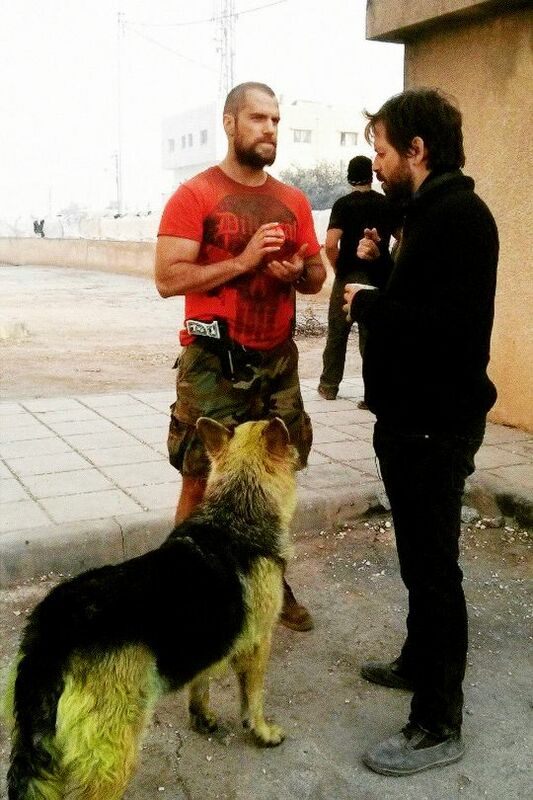 Shot in Jordan over six weeks, Sand Castle is undergoing the finishing touches in post-production. It shows Coimbra's vision of the Iraq war. He tells Omelette that while filming it, he learned about American military ethics, and says the movie draws parallels to what is happening in Brazil today. The plot is set in Iraq in 2003. After the successful first ground invasion of Baghdad, a platoon of American soldiers is sent to Baquba, in the Diyala province, to repair the city's water system, damaged during the U.S. intervention in that country. The mission, which seemed simple, turns out to be a nightmare. Coimbra, who directed episodes of Narcos for Netflix, reunites with the streaming service, which bought the rights to Sand Castle when it was already in post-production. In the following interview, Coimbra explains his approach to the reality of Iraq and the military procedures of America around the world. How was the experience of shooting in Jordan in English, leading a multi-national cast and dealing with the thorny issue of the occupation of Iraq? 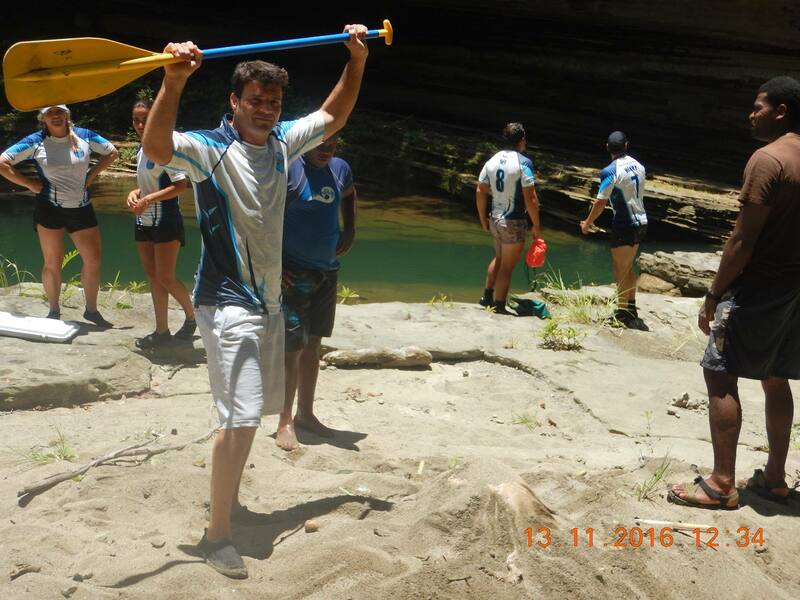 Fernando Coimbra: It was a great experience. Part of my decision to make this film came from the will to live that experience. Overall, I think it was amazing. Of course it came with its difficulties, especially after taking my family to live in the Middle East for nearly four months. Working with a multinational cast is always a very rich experience. In Narcos, I had the luxury of working with great talent in Latin America, while in Sand Castle I could work with super talented actors from the UK, United States, Egypt, Iran and Palestine. I also worked with Iraqi extras. I made sure to have real Iraqis in the film. I think it was very important for the final result, to have both American military advisers giving their point of view, as well as getting the perspective of the Jordanians and Iraqis. And that's what the film suggests, to look at both sides equally. 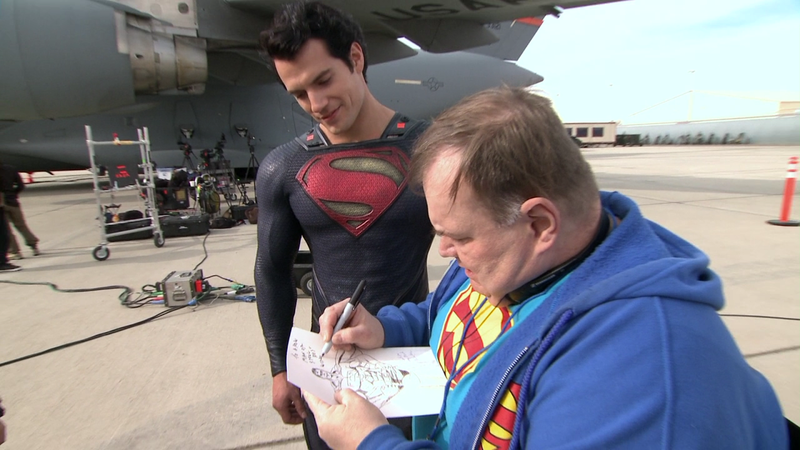 How was it working with Nicholas Hoult and Henry Cavill? Coimbra: Could not have been better. Nick Hoult was already involved in the project before me. As the protagonist, he wanted to go deep with this story and this character. We had a very strong and intense collaboration. 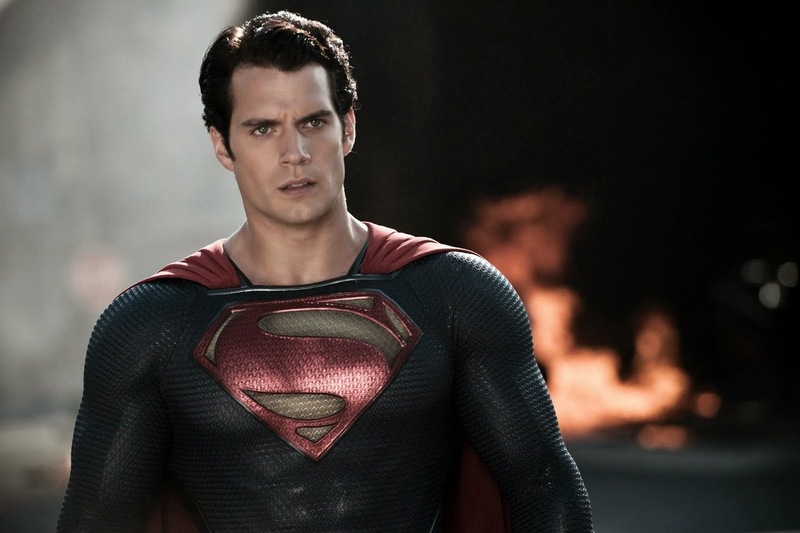 Cavill, since he read the script wanted to make the film, and this was a key factor. 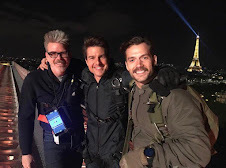 Even though he's involved in a multi-million dollar franchise with Superman, he wanted to do this independent film, which shows a very different side of him. We changed his look completely. He is almost unrecognizable. 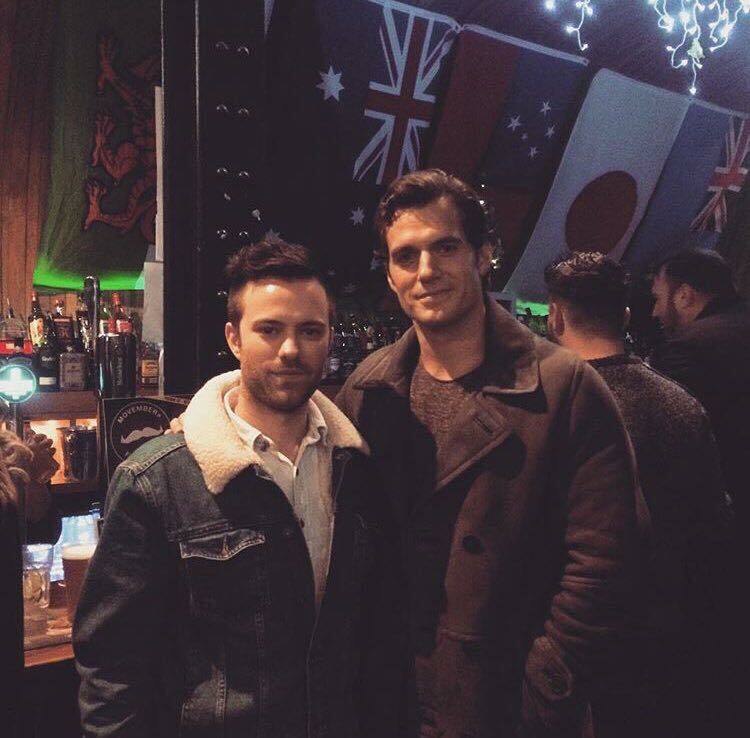 Cavill is a very simple and humble guy. And very easy to work with. How did you approach the military intervention of the U.S. around the world? Coimbra: The film is not at Americanist vision. The view of the war I deliver is not one of heroes, of glory and great deeds. The film is seen from the perspective of the soldier as an individual to show how, throughout the war, it will become more absurd and meaningless to him. And the concepts of freedom and democracy that he brought from the U.S. change once he meets Iraqi civilians and has the opportunity to have a minimum exchange with them. What did the film teach you about military ethics? Coimbra: There are two military ethics. There is the low-level one, trying to be as correct as possible (which is not always the case) and then there is a high-ranking one, where the real interests of war (economic and geopolitical) reside. What they sell to the soldiers is the idea that these will bring freedom and democracy to a country that lives under an oppressive regime.What is behind it, is the destabilization of the country and the delivery of its economy to international private corporations. What happened in this war, is that most of the soldiers returned home with a title in the head (?) because their motives did not match the real motivations of the war. Studying it, I began to better understand what is happening in Brazil now. It is the same process of interventionism, but without war, just like what happened in Egypt. The Obama administration has enhanced the interventionist policy in order to spend less money on the war machine and have the same result. How are your Brazilian projects? Is there anything else on Netflix to come? Coimbra: The only thing coming up for me on Netflix is Sand Castle (..). Sand Castle will make its debut in 2017, though no date has been set. I want to fly YOU out here to join me in the UK for a ride on the Coca Cola London Eye. We’ll toast, have a nice chat, and more. All you have to do is hit the link in my bio or go to omaze.com/henry . Flights and hotel are on me. It’s all for a noble cause, the Royal Marines Charity. Looking forward to our time together. 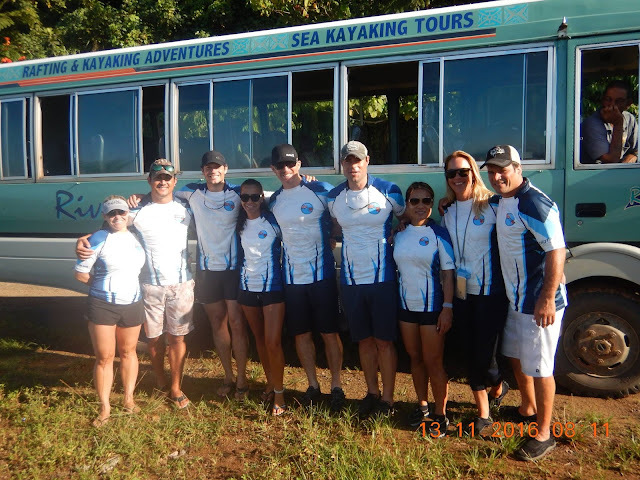 Let’s make a difference this Giving Tuesday, together. We also have a couple of behind the scenes pics from the day of the shoot, and check out the view.. that could be YOU next to Henry sipping champagne on The London Eye. "This guy came up to me and asked for a photo, can't say no to my fans"
Does that coat look good or what?? 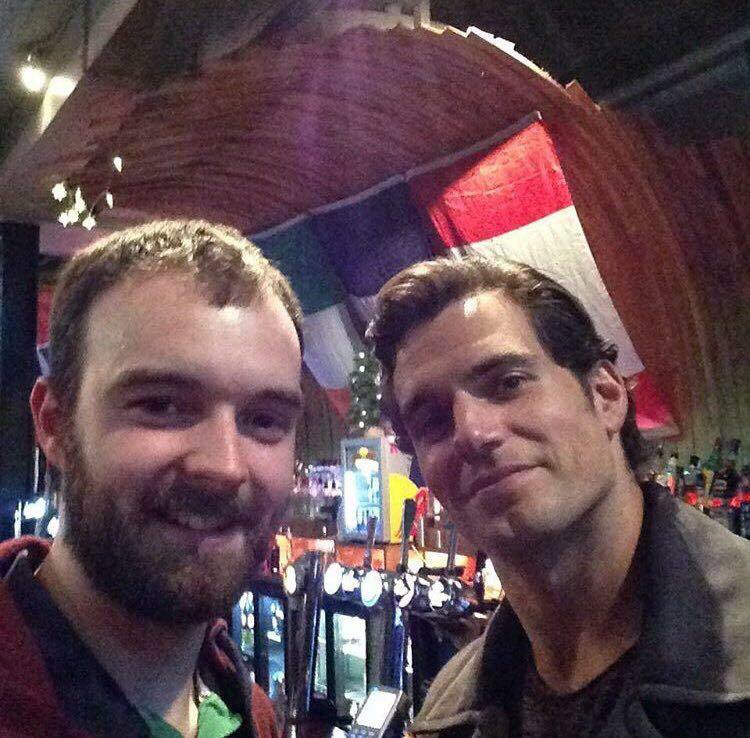 Tim being cheeky, after he met Henry and asked for a pic at a London pub today. 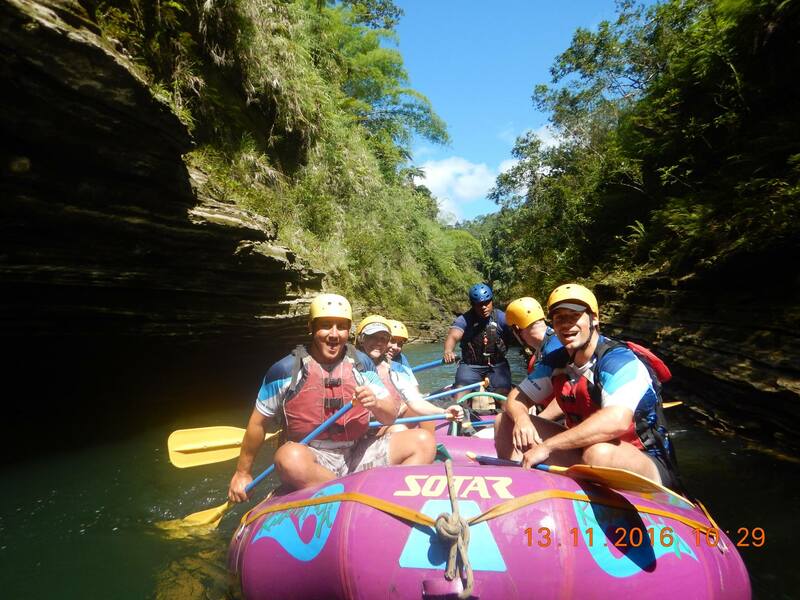 And check out Darragh's awesome selfie and the rest of the cool photos! 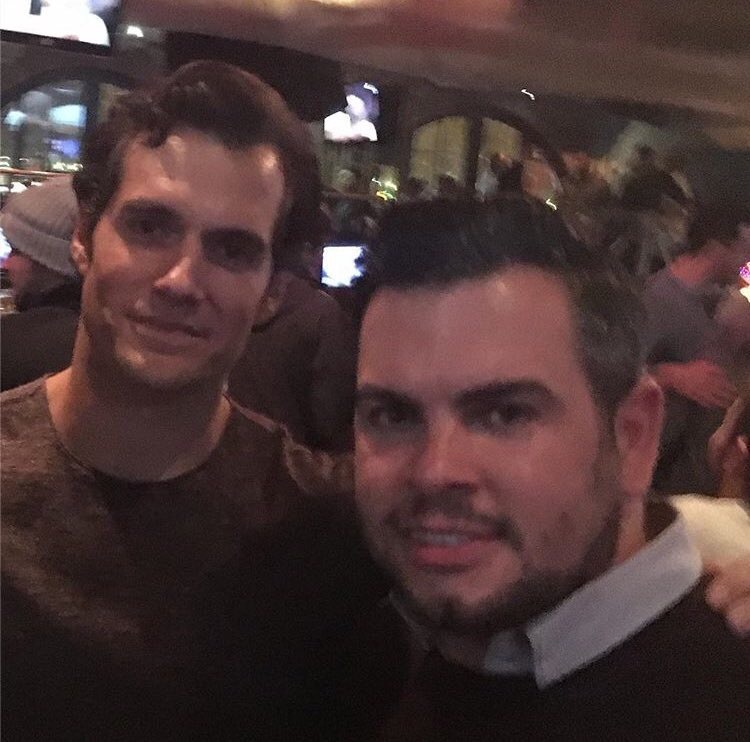 webby2505: "Just bumped in to this guy!! 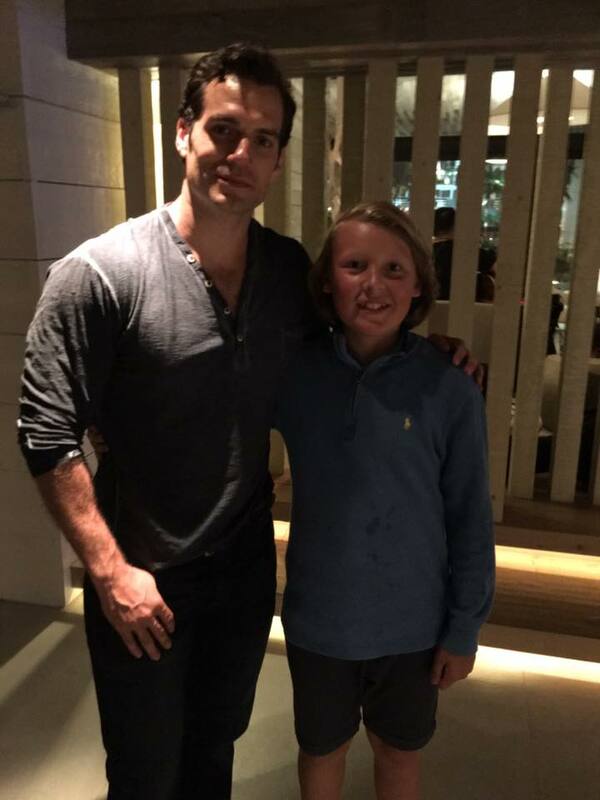 #Superman #newsuperman #Henrycavill"
Thanks as always to Henry for being super nice with everyone, and thanks to those who share their moment with the rest of his fans. 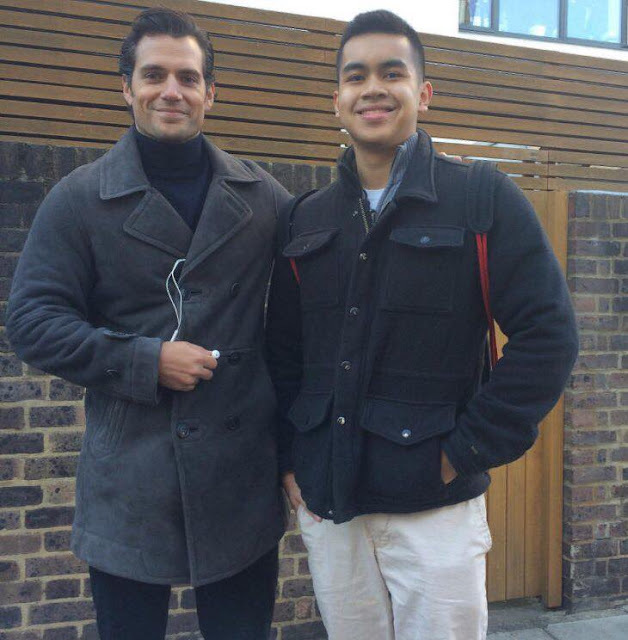 Pablo says he was on his way to lunch today, when he casually bumped into Henry in London. And look what a cool pic he got! 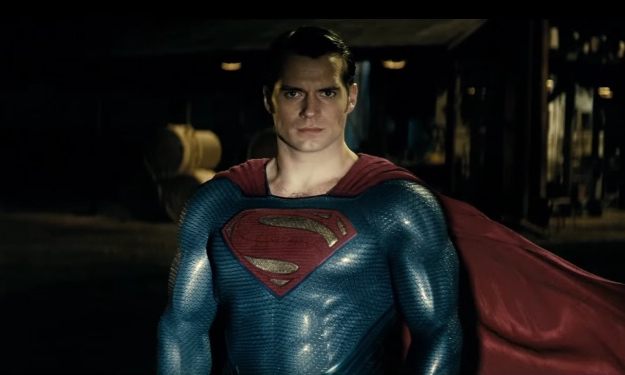 Henry looking very much his Superman self, or..
And he wasn't the only one that noticed. 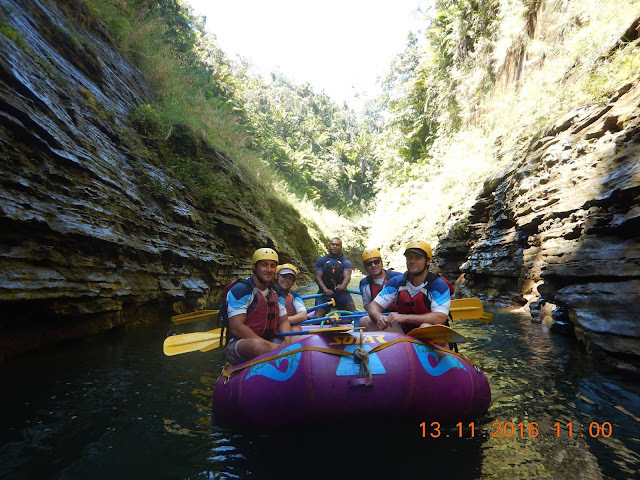 Sightseeing company Rivers Fiji, just shared the pics and video from the day Henry took their river rafting tour and posed for pics earlier this month. 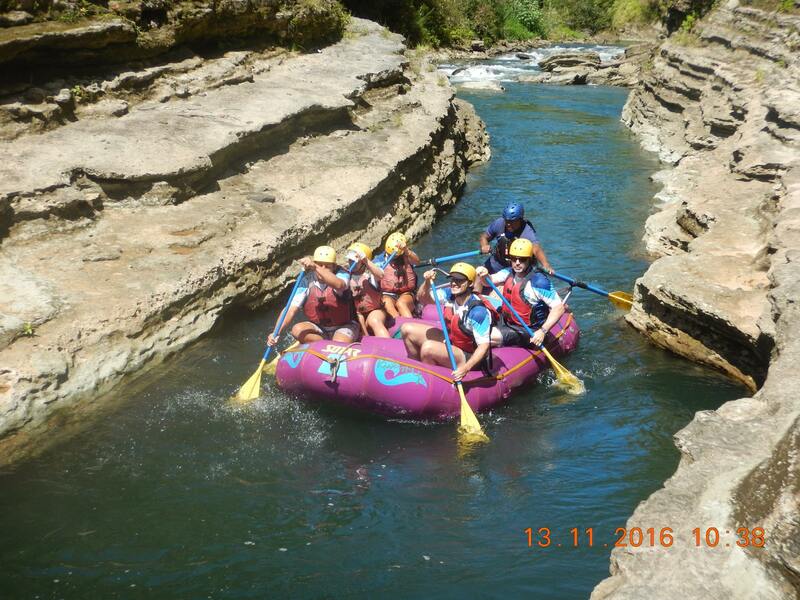 Looks like everyone had an awesome time! 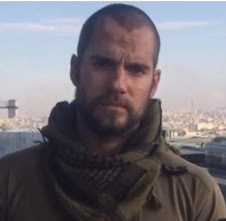 "You may want to identify the 2016 Superman sensation Henry Cavill in the pics. 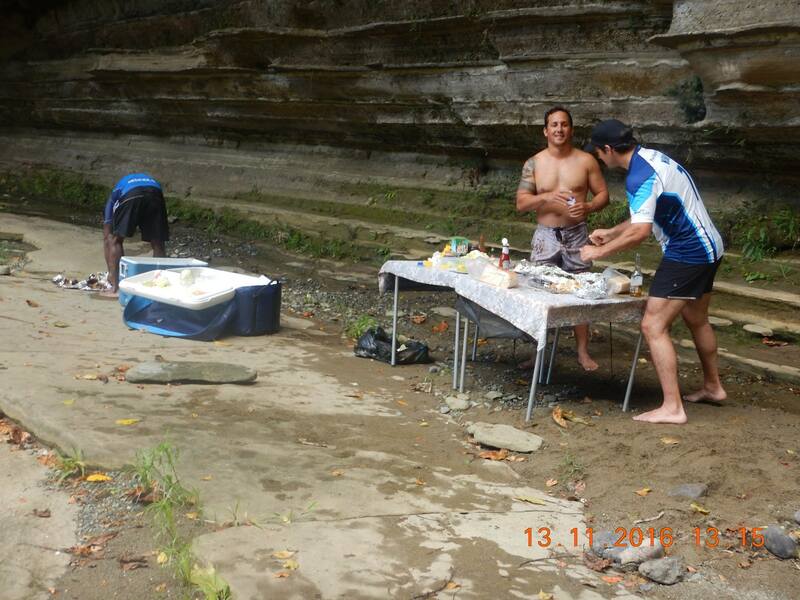 He too thoroughly enjoyed this private trip down the Upper Navua river. They were surprised as guides dug out a lovo in the middle of nowhere." Have You Entered The Omaze Contest?.. Henry Is Waiting! 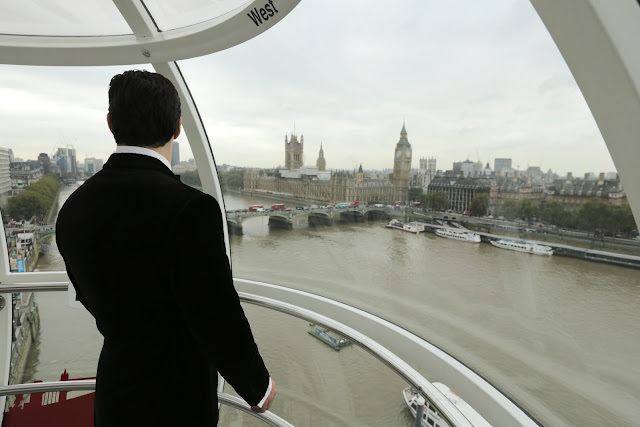 Time won’t wait for us to take a ride on the Coca Cola London Eye, but I will. All I ask, is for YOU to join me for a glass of champagne when we reach the top. 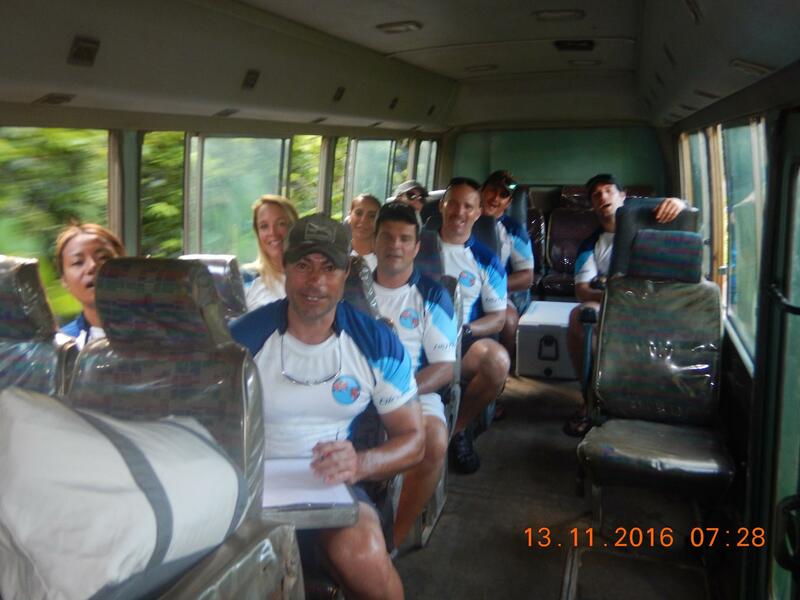 We’ll be in great company, good spirits and supporting an important cause, the Royal Marines Charity. Enter through the link in my bio or head over to omaze.com/henry for a chance to win. Sooooo.. who's already packed their bags?! Good luck you guys, this is definitely going to be a fabulous experience for the winner. And you get to make a difference for The Royal Marines Charity. Don't delay and ENTER NOW.. those extra perks are selling out! We spot an England Rugby beanie!.. winter must have arrived in London. 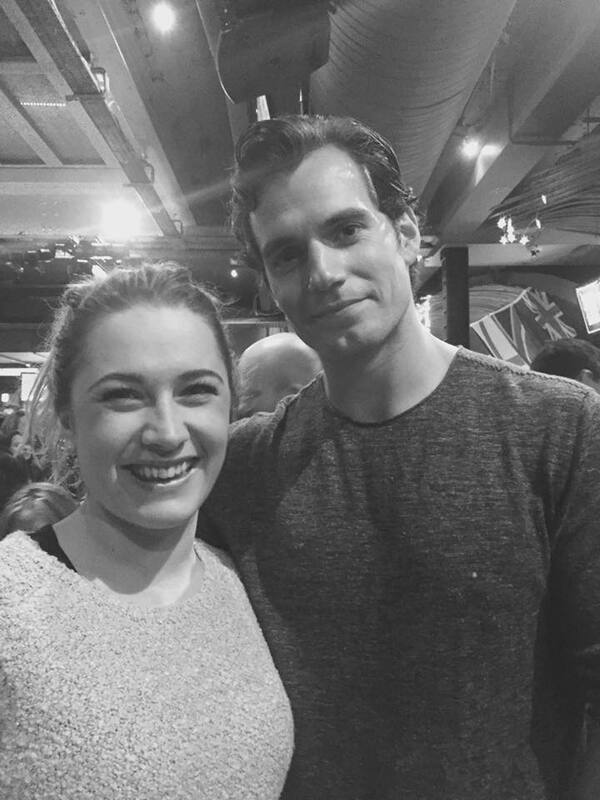 Sam ran into Henry today, and she couldn't be more excited to meet him. 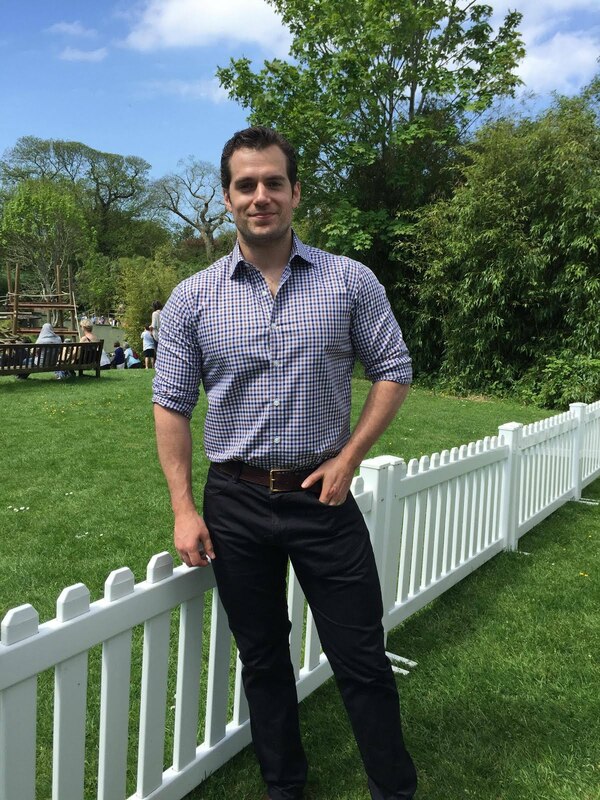 We hope Henry soaked up the rays in Miami, Los Angeles, and Fiji now that he's back in chilly London. Thanks for sharing your photo Sam, and stay warm everyone! JustGiving Awards Set For Tuesday: Good Luck Henry! 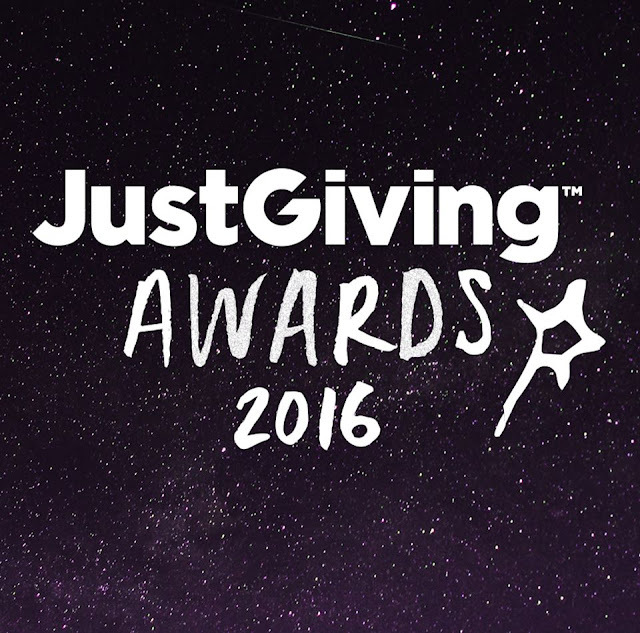 The JustGiving Awards are almost here, and you know who we're rooting for! 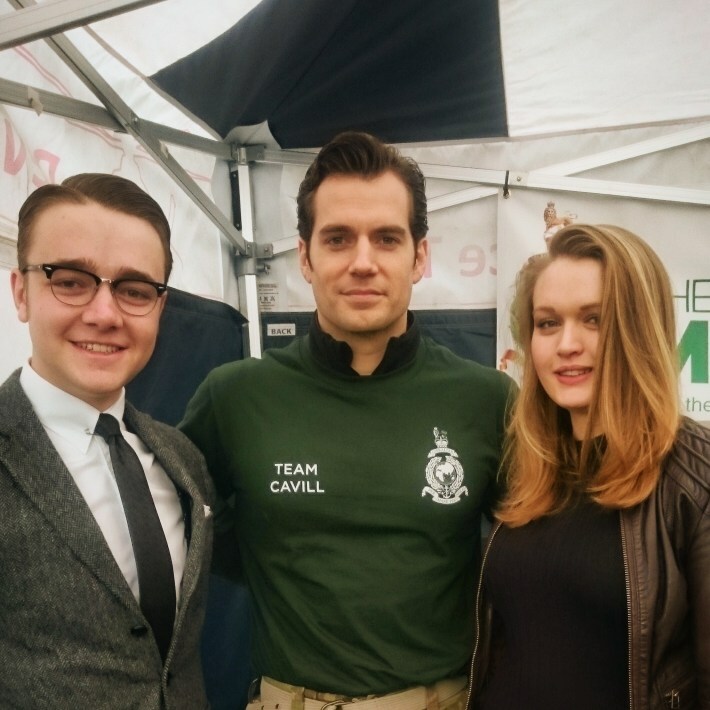 Henry is a dedicated ambassador for both Durrell Wildlife and The Royal Marines Charity, raising funds for both thanks to his hard work and your support. 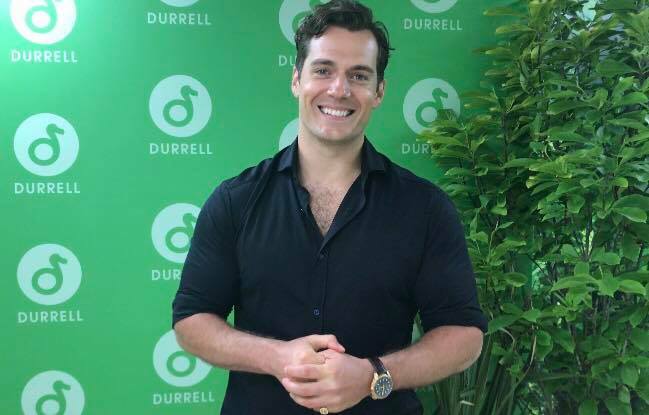 This year he participated in The Durrell Challenge and the Commando Challenge, and has just launched a new fan contest in partnership with Omaze. Look for updates from Tuesday's ceremony in London as we get them. Good luck Henry! (but know you're already a winner in the eyes of your fans). @HenryCavillNews @JustGiving I have crossed everything for Mr Cavill. He really deserves it!!! @HenryCavillNews @JustGiving all pur fingers age crossed!!! Hope he will win. He so highly deserves it ! 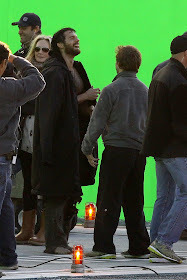 "Now we know why he is SUPERMAN! He eats at Agave! Pleasure having you @henrycavill!" 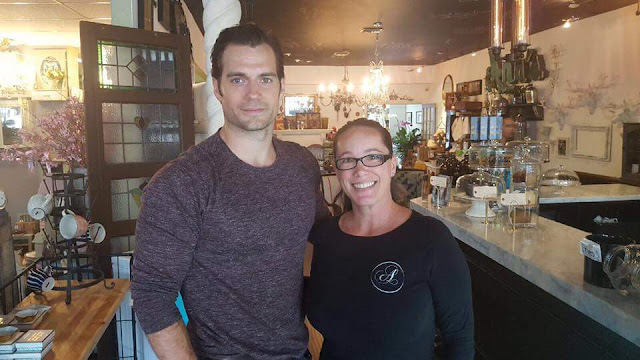 After returning from Fiji earlier this week, today Henry posed for this pic with some excited employees at Agave Taco Bar in Fort Lauderdale, Florida. Thanks for sharing you guys. 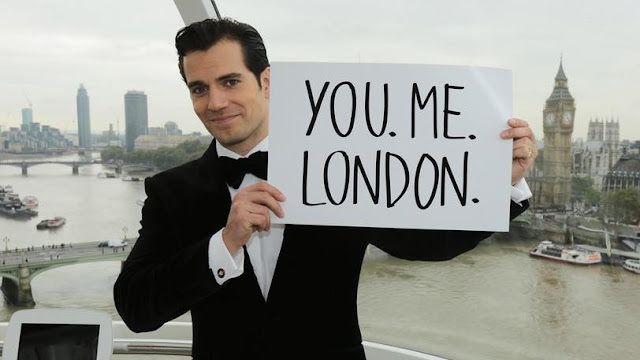 Don't forget to enter for a chance to hang out with Henry in London early next year -- truly a super trip! 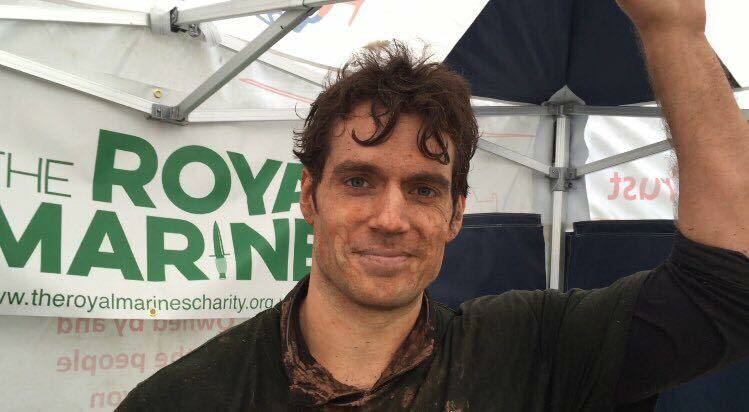 He teased us with this picture, and today Henry revealed he's partnered with Omaze for a new campaign to benefit The Royal Marines Charity. And the big winner could be YOU. 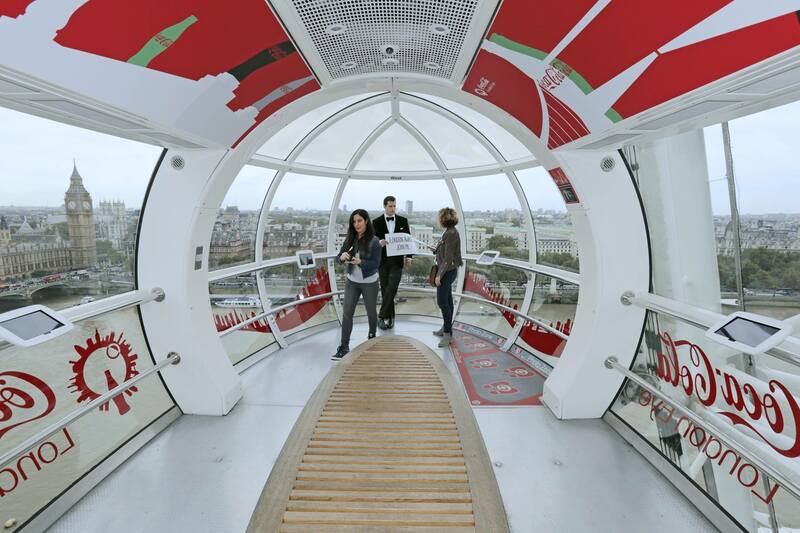 Truly honoured to announce that I’m taking YOU on the Coca Cola London Eye! We will head to the heart of London where we will enjoy breathtaking views, a glass of champagne, and maybe a joke or two. It’s all to support the Royal Marines Charity, a cause that’s dear to me. Click the link in my bio or head to omaze.com/henry for your chance to WIN. A dream come true for any fan. ENTER NOW (and see all the cool stuff your entries could get you). Good luck everyone! UPDATE 1/3: Use our exclusive promo code HCN100 at checkout, for 100 bonus entries! 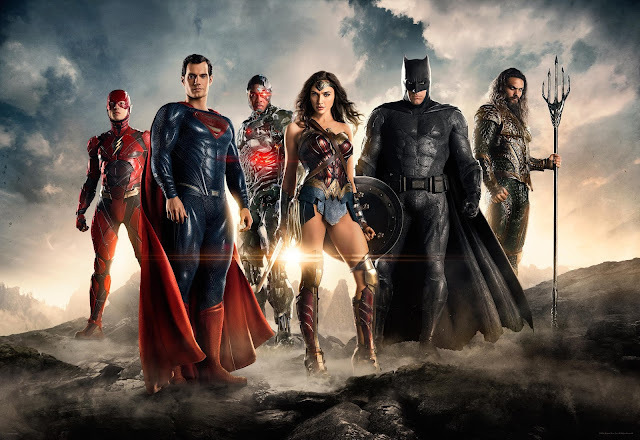 The waiting is killing us, but we can now say we're one year away from the Justice League release! We have no doubt that Henry will deliver a strong and passionate performance. P.S. Standing by for that rumored trailer that's supposed to drop soon. Yes! 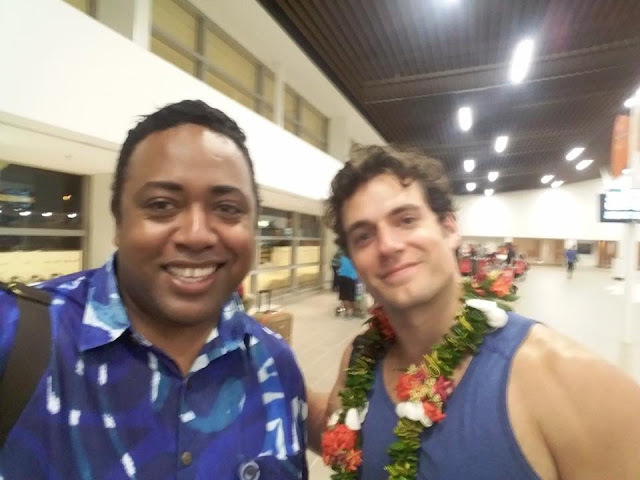 After having no sightings of Henry since he arrived in Fiji at the beginning of the month, it looks like he's on the move again. Niki ran into him in Fiji, and a little later two airline employees posted their cute photos with him. 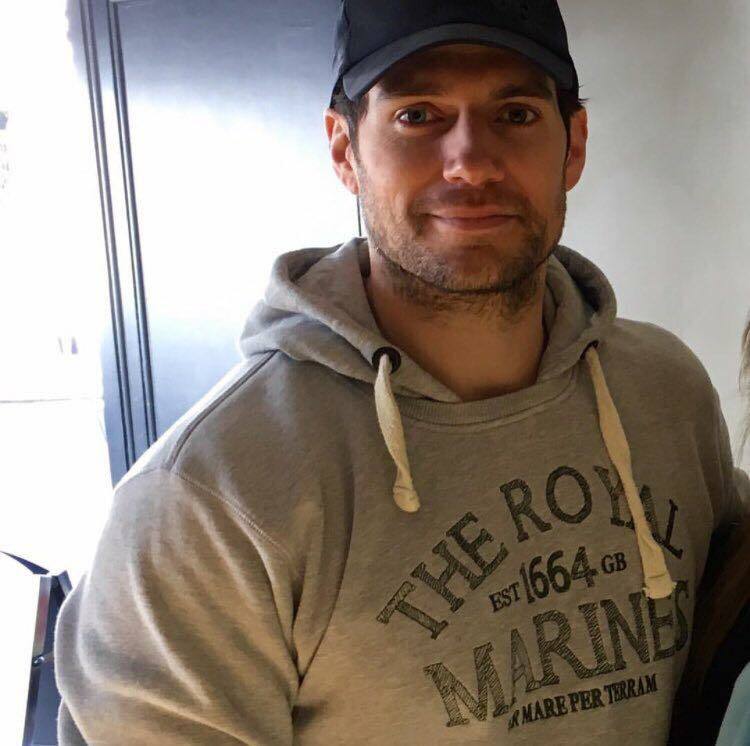 UPDATE (11/16): One more great pic, and we love reading what everyone had to say after meeting Henry. Thanks so much for sharing your photos. 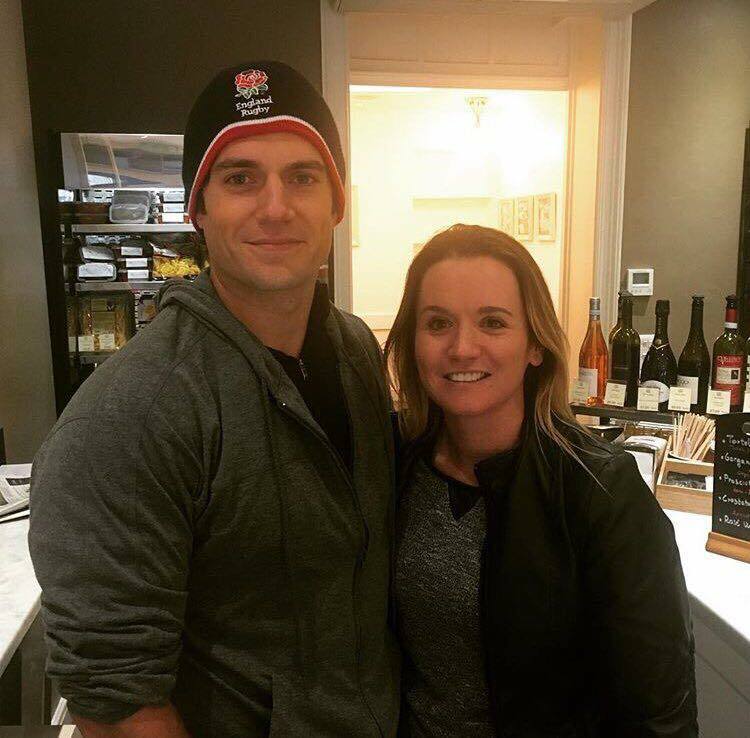 "LauraTotten1: Lovely to have met @henrycavill. He is as gracious & kind, as he is talented & handsome! He's one of the good guys. Thanks for the advice Henry - I wish you continued massive success! 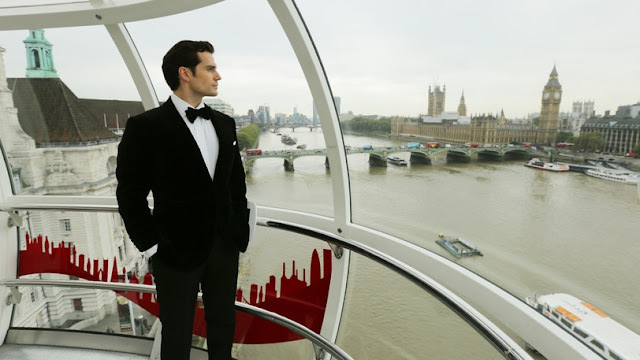 #henrycavill #superman #napoleonsolo #royalmarines"
The People's Choice nominations were announced today, and your votes got Batman v Superman to the final round! 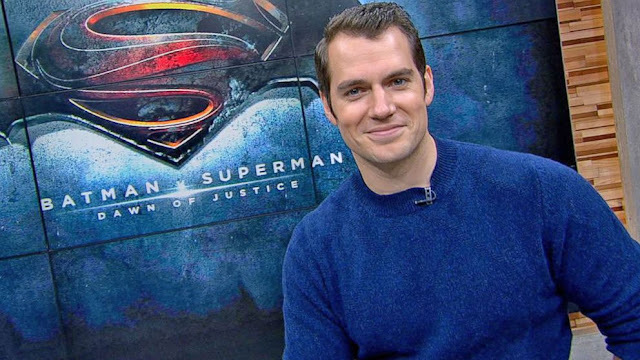 The film is officially nominated for Favorite Action Movie, now we have to come through for Henry and get the win. VOTE NOW at peopleschoice.com, where you can see the rest of the nominees. Voting ends at 11:59 PM EST on December 16. The 2017 People’s Choice Awards will air Wednesday, January 18 on CBS. Our Badass Beard of the Week is none other than Superman himself, Henry Cavill... need we more?!? Superman, stay bearded!!!! 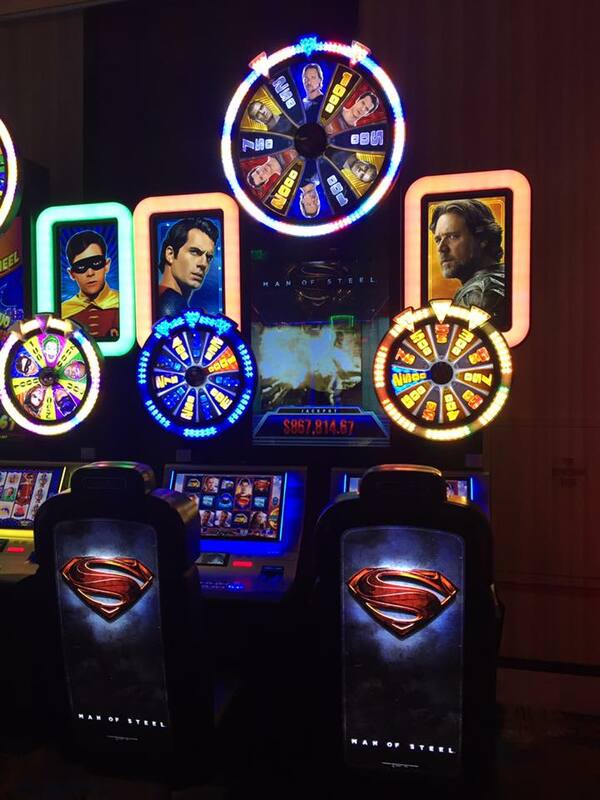 Superman may be out of sight for now, but definitely not out of the minds of his fans! 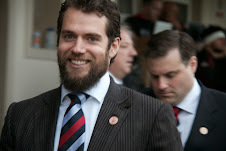 Monday kicked off with several Henry mentions, including "Beard of the Week." AndPop then highlighted some of the reasons fans can't get enough of him, give the cute article a read in the link below. This next post has us planning our next Vegas trip..
GeeksDownUnder: "I don't gamble often (nor do I encourage it) but I'd place my bets on Superman any day." So while we wait for that trailer to drop, how about some holiday shopping?.. LOVE the Metropolis background! @MerchoidDotCom, your Christmas jumpers are the best! I'm glad I ordered my Superman one as they're selling fast. Read the full interview at Exepose. And don't miss our chat with Henry and everything else from the Commando Challenge: 1/2/3/4/5. If you didn't know by now, Henry's new manager Dany Garcia is a force to be reckoned with. During a recent interview with Newsweek she confirmed Man of Steel 2 is in the works, and yesterday she held a Twitter Q&A where she answered a question about the focus of her work with Henry. 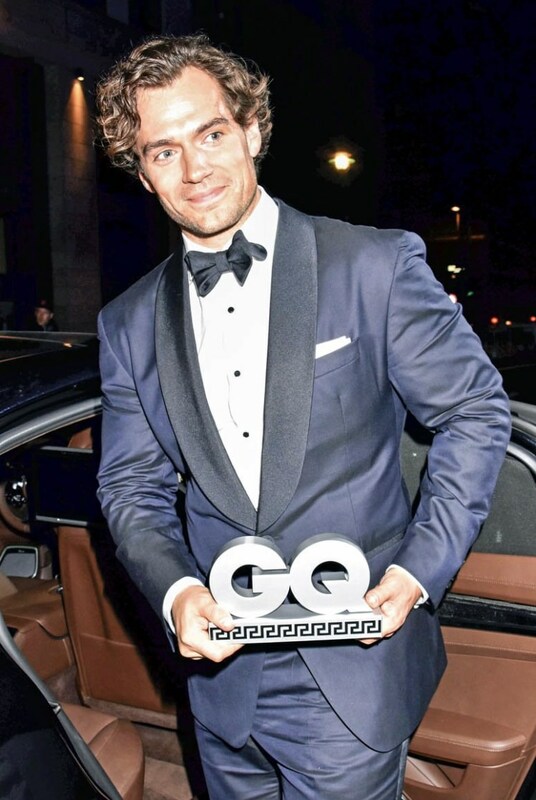 #TheDanyDownload @CarthensKelly CONGRATS on Mgm #HenryCavill! What's ur strategy 4 getting him other parts other than Superman? 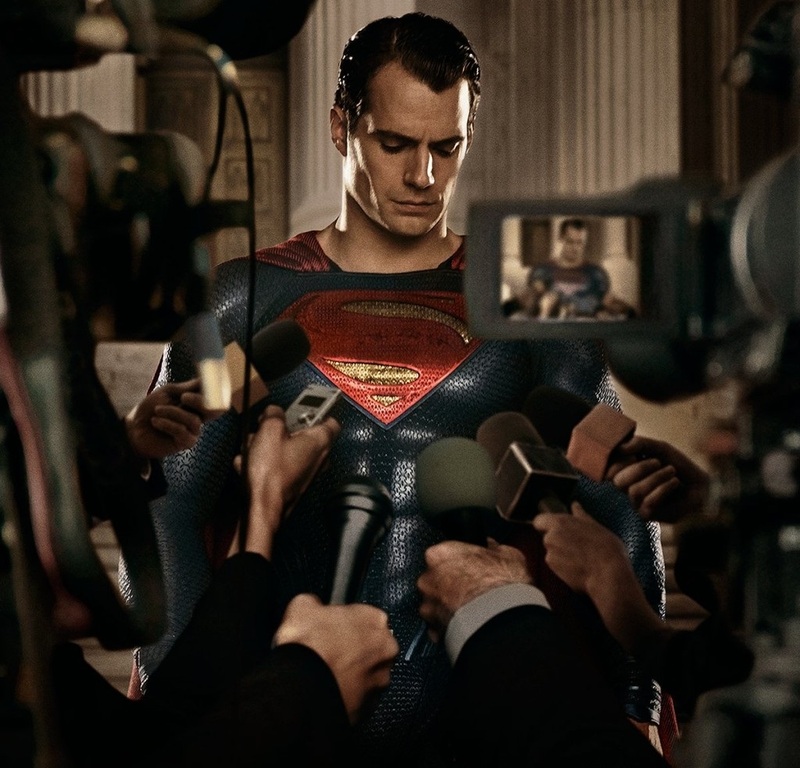 We are really excited to find out what's in the planning stages, in addition to the return of Superman. You can follow Dany on Twitter and Instagram where she shares some great professional advice. And like Henry always says.. "watch this space!" They were all Mothers and Fathers, Brothers and Sisters, Daughters and Sons. 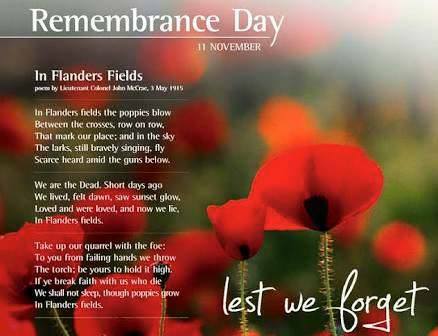 We would not forget ours let us not forget theirs. Today the UK remembers servicemen and women killed in conflict (Veterans Day in the U.S.). This is Henry's message as he honors them. 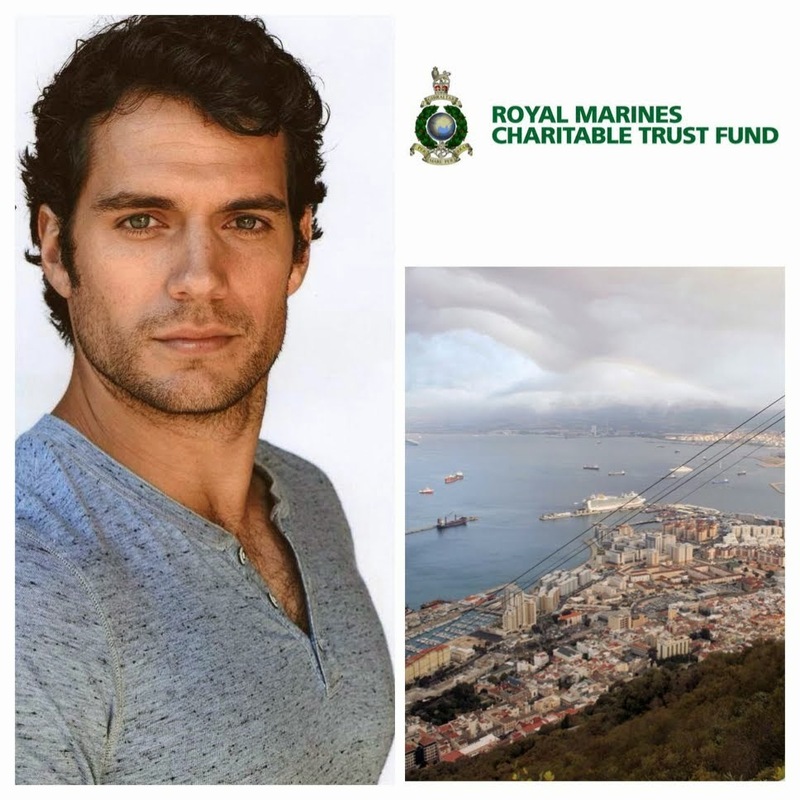 Henry comes from a military family, and has been an ambassador for The Royal Marines Charity since 2014. "Oh yeah, oh yeah, she doesn't anymore -- she makes it very clear.."
"Do you remember that funny time when I thought Henry was cute?" "She kinda pinched him in the tush, she was like a year.. and Henry is like "she's your daughter."" "Look who is with us in the hotel! Actor Henry Cavill..."alias" SUPERMAN! We were with him in the elevator as well, lovely guy!" It's #ThrowbackThursday, and we have some really sweet fan encounters to share with you. Beate Van Baal ran into Henry while he was visiting Miami in September, and he posed for a pic with her son. 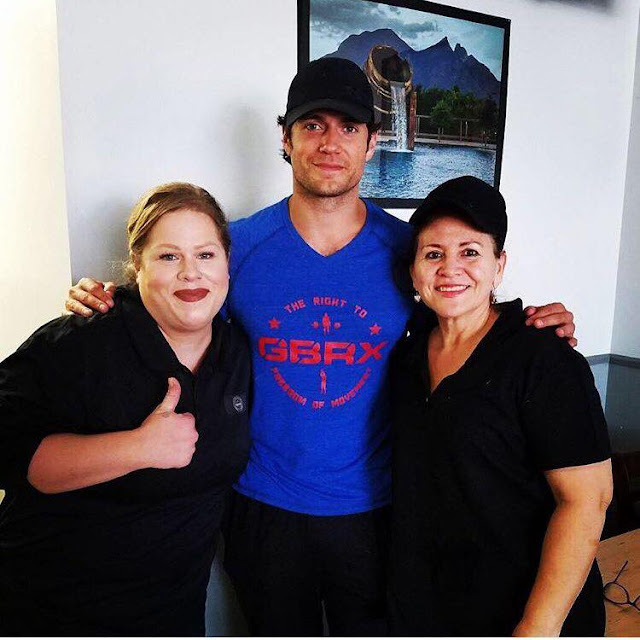 During that trip, Estee Backoff and her coworkers also got a chance to meet him and one of them got this great pic below. Catch up on everything from Miami: 1/2/3/4/5/6/7/8/9/10/11/12. In July of last year, several fans ran into Henry and Kal on the streets of London and among them was Rajai Khateeb and his son. We think someone loved meeting Super Puppy! 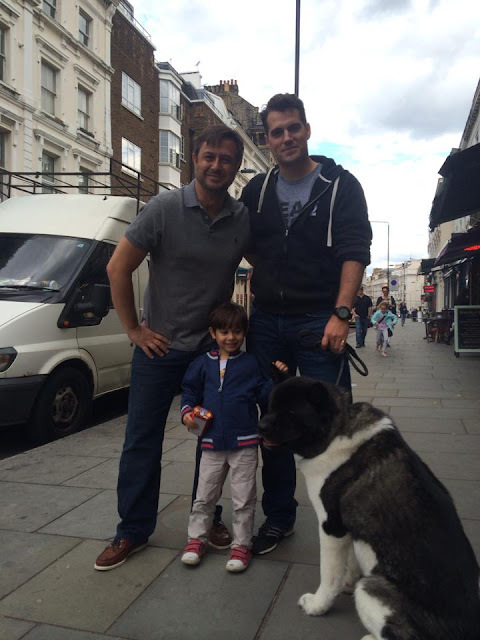 "Look who Karim and I bumped into today in Kensington, SUPERMAN!" 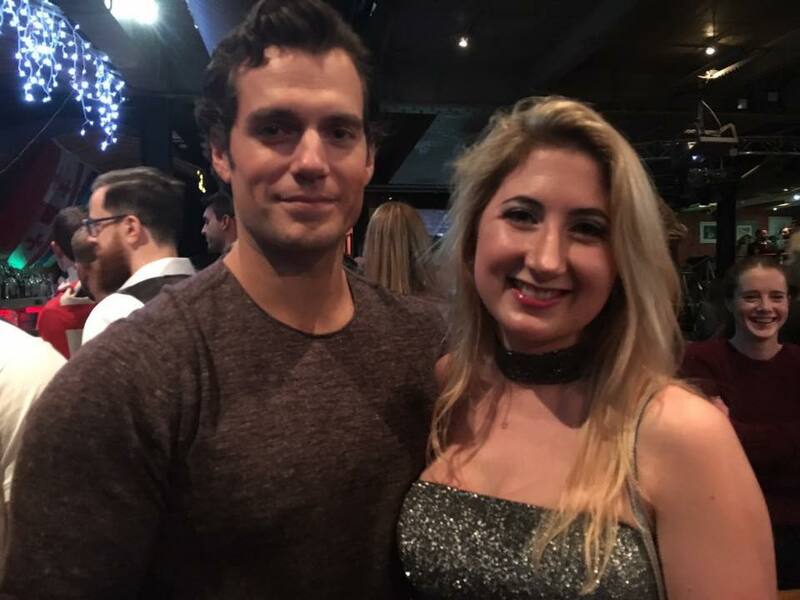 Finally, this week actress Ana Layevska shared her cool pic with Henry at the Los Angeles premiere of Immortals in 2011. Five years later, she still remembers that epic moment calling it "the closest" she's been to Hollywood. 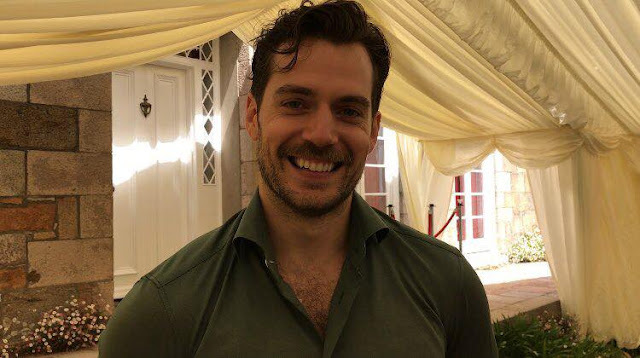 We love sharing the photos fans post with Henry, but if you repost them -- please credit the owners and be respectful on their social media pages. Thanks so much! 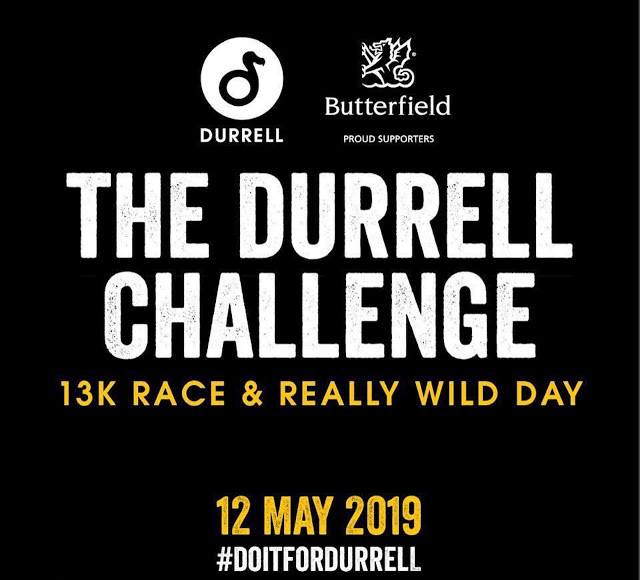 Durrell announced today, that you can now register to participate in next May's Durrell Challenge. 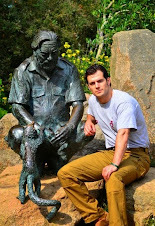 Hopefully you can make it like these guys..
@HenryCavillNews @TheDurrellChall @DurrellWildlife I'm coming from Aust for it and to see Henry. Not running😊but will enjoy the atmosphere. In the meantime, take a look back at this year's event --> 1/2/3/4. 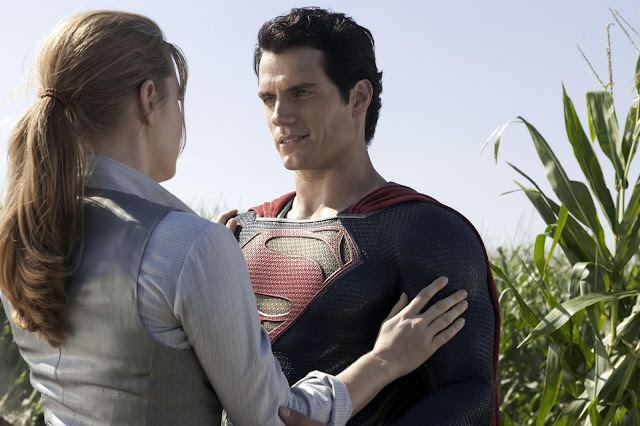 Will Lois Lane be part of Man of Steel 2? 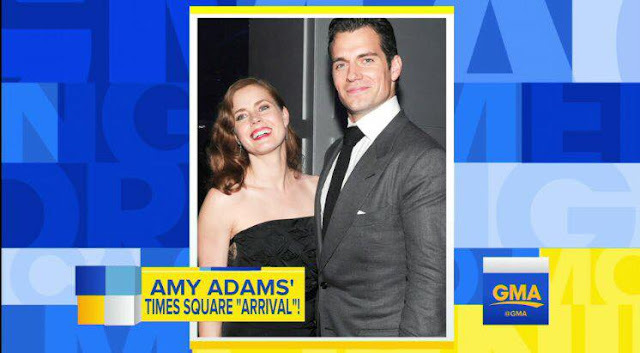 It remains to be seen, but in a new interview Amy Adams mentioned how she found out about the film that is now in development (thanks to @caraliscity for the heads up). Watch Amy's comments at about 3:45. 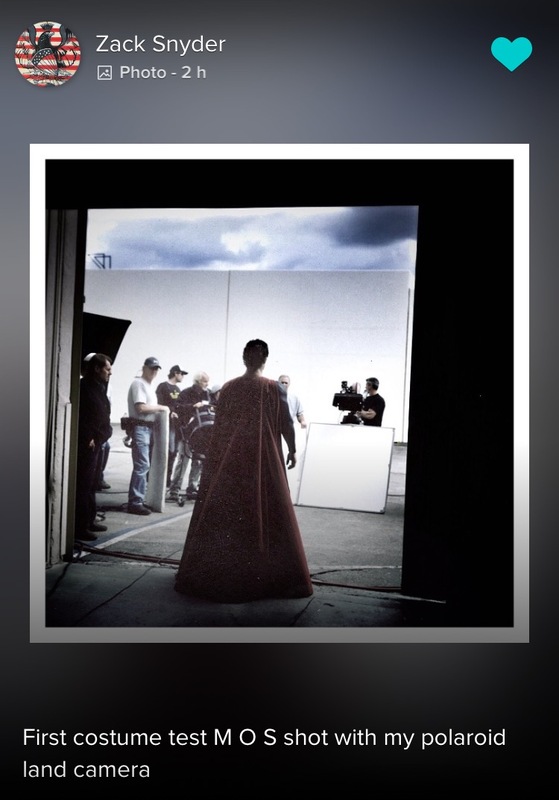 "I read about Man of Steel 2 when you guys did"
During that same junket, Amy talked about the scenes that got cut from the theatrical version of Batman v Superman, and shared whether she's seen the extended version. (Video) Amy Adams and I geeked out about our love for BATMAN v SUPERMAN & @ZackSnyder! You also want to catch Kevin's interview with Ezra Miller.. he geeks out about being The Flash (at about 5:50), and shares a little preview of what you can expect to see in Justice League. UPDATE: More from Ezra below. 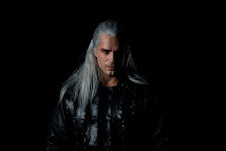 This week we finally found out who will be playing the villain in the film. Check out the details..
Jason Momoa also had some cool stuff to share about getting cast as Aquaman..
And Ray Fisher is showing off his cool Justice League wrap gift from the studio. Nice look Cyborg. But perhaps the biggest news of all, is that Wonder Woman has a baby on the way. Gal Gadot announced the news today. Congratulations! 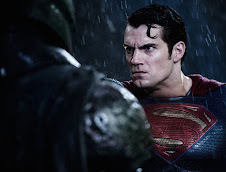 Batman is always so confused about his feelings for Superman.. In the new Lego Batman Movie trailer, it's up to The Joker to set him straight. The Lego Batman Movie is out February 10, 2017. The Warner Bros. release kicks off a dream year for DC fans, that then get to watch Wonder Woman on June 9 (did you catch that awesome new trailer?) followed by Justice League November 17. 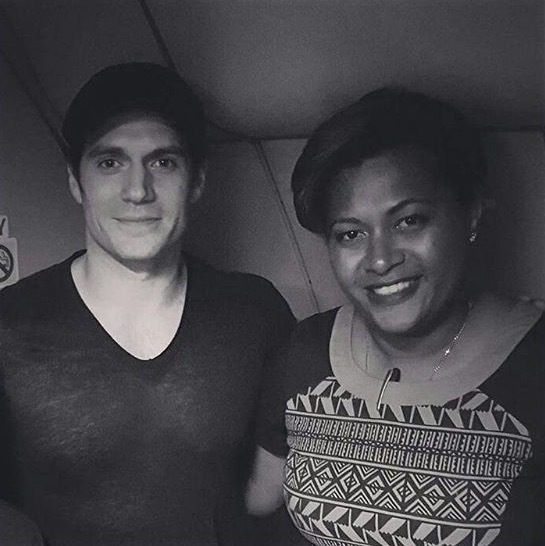 "When the man of steel chooses to Fly wit Fiji Airways rather than fly himself. #SupBro #SuperMan #FlyLikeAFijian #FijiAirways"
Isn't she a lucky flyer. 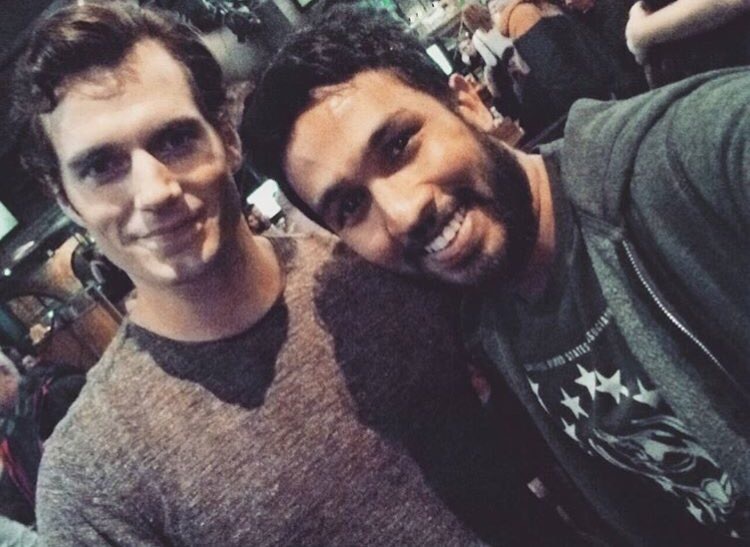 Lalakolabasa (@that_guy_if) just shared this cool pic with Henry. Thank you so much. Have fun wherever you're off to Superman!